Don’t miss this 3 bedrooms, 2 baths home with water views from the front and back yard! 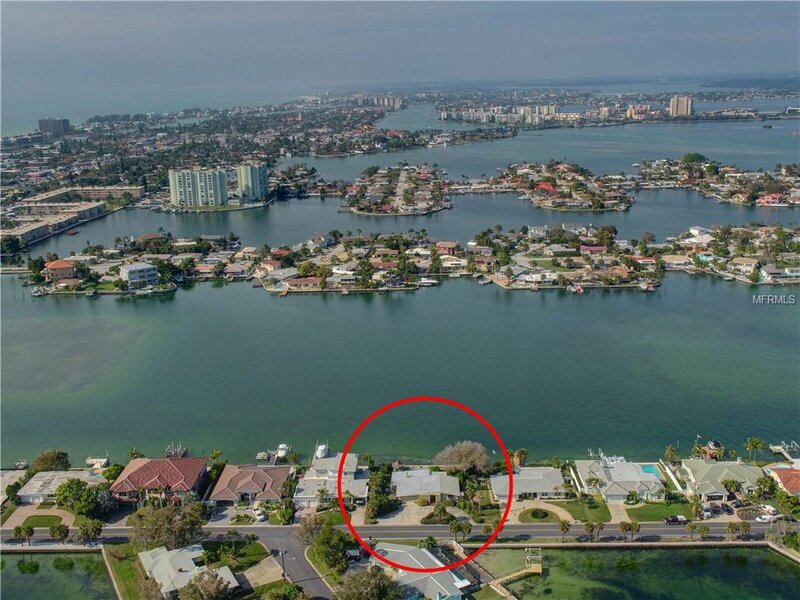 Located on one of the widest and deepest canals in amazing Brightwater Beach Estates, it’s a boater’s dream. Longtime owner has kept the home well maintained and now it’s ready for your updates and personal touches. Features custom wood cabinetry, wood window frames and bonus room with large picture windows, custom wood ceiling and stone fireplace. With 100 foot seawall, grand gazebo and custom built fish pond enjoy endless days of fun in the sun. Easily walk to sunsets on the beach, nearby restaurants and St Pete Beach events. Listing courtesy of FLORIDA REALTY INVESTMENTS. Selling Office: RE/MAX PREFERRED.